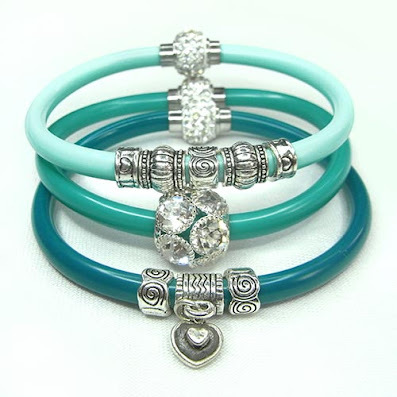 Give a girl a bunch of flowers and it will last a week.... but give her a resin bangle filled with flowers and it will last forever! 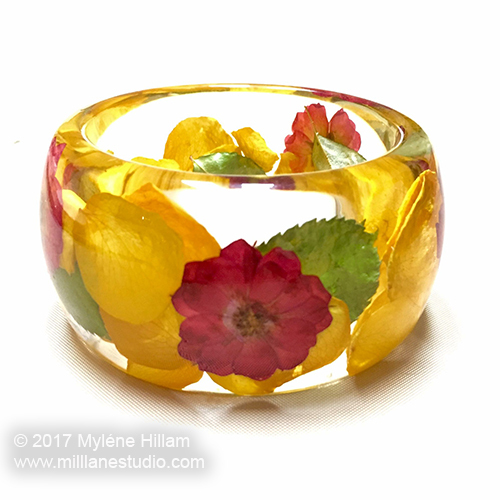 In recent weeks I've been using a lot of flowers in my resin bangles and I've had many questions on Instagram about how I've treated the flowers so this post answers some of them. I've tried a few different drying methods and some of my results have been really good and some not so good. 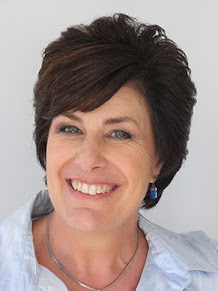 I want to share both the successes and the failures with you. 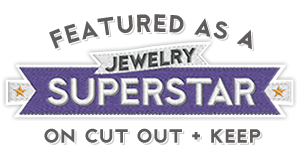 The methods I've used include silica gel, salt, a dehydrator and a microwave press. The first three keep the flower's shape. The last one flattens them. 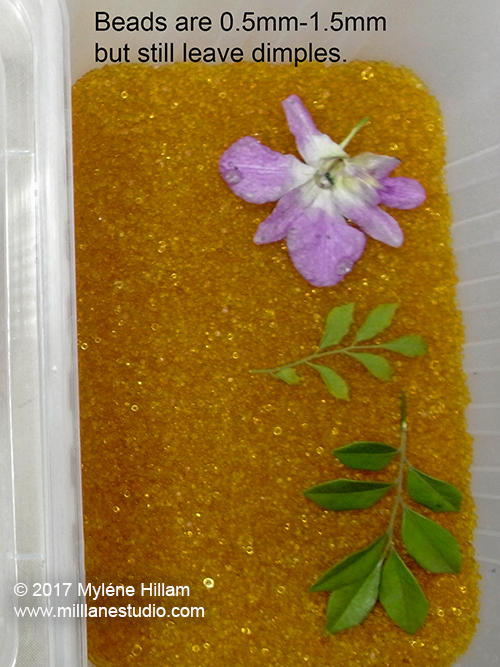 At the back: medium silica gel; large silica gel beads, small microwave flower press. The first thing I tried was silica gel. The process is really simple. I use a microwave safe container when I'm using silica gel because I need quick results and the microwave will certainly give you that. You just place a layer of dessicant in the bottom of the container - I found that 1-2cm (1/2"-1") was sufficient. 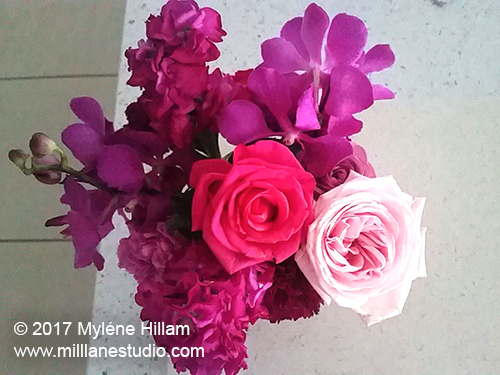 Then place your blooms and carefully spoon over another layer of dessicant as thick as the first layer. 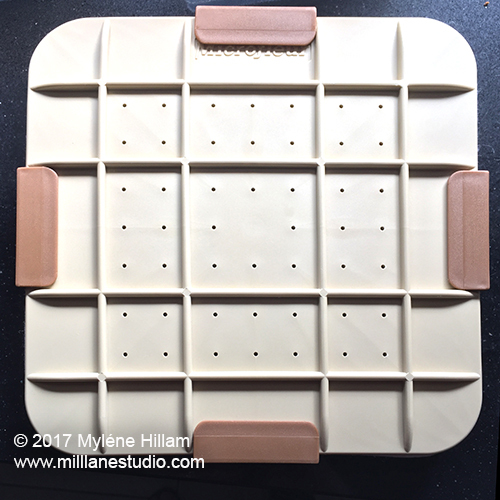 Set the container aside and let the silica gel get to work. 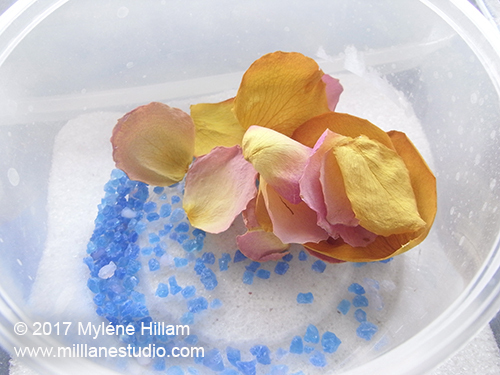 Or, if you're in a hurry like me and only need petals, place the container into the microwave on 50% power for 60 seconds. Check the petals to see how they're going. If they feel like parchment, they're done. They'll be fragile but they shouldn't be brittle. If they crumble, you've overcooked them - shorten the time for the next batch, If they feel silky, they're not done yet so continue drying them at 10 second intervals (always at 50% power) until they feel papery all over. Each flower will be different - fleshy flowers will take longer and some flowers will darken and some will fade. Some won't be successful so it's a good idea to record your results for future reference. Once they're dried, use a soft brush to dust them off and store them in an airtight container with a little bit of silica gel to keep them dry until you're ready to use them. 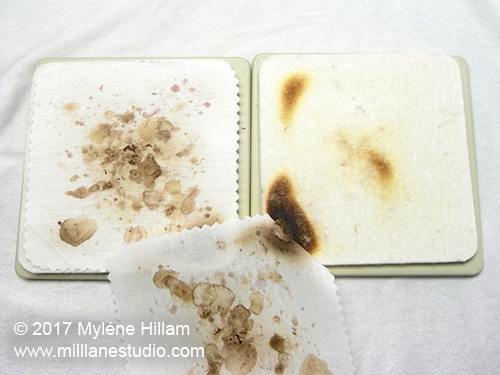 You can see from the photos below that not all silica gels will give you equal results. 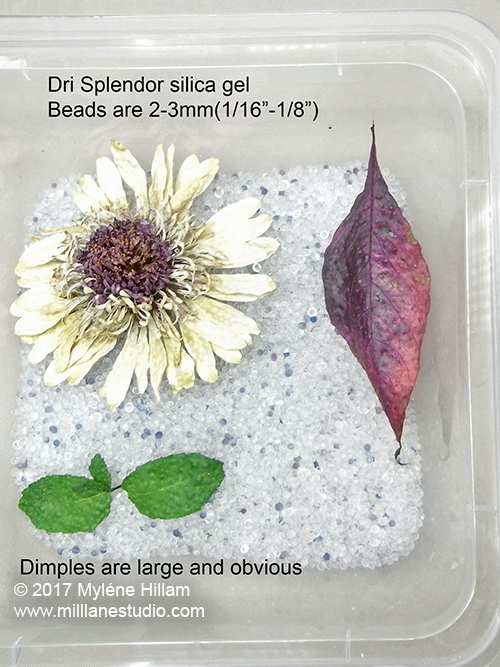 Each of the three Silica gel products I tried preserved the shape and colour of the petals really well but the first brand I tried had large round beads. 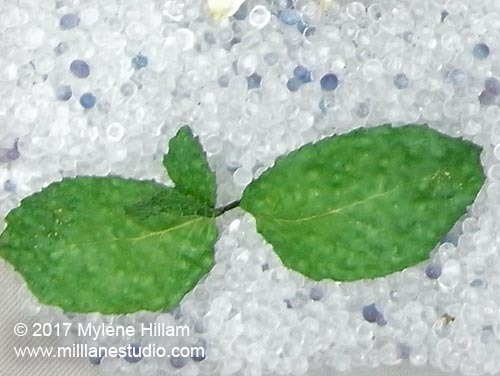 Notice how deeply dimpled these mint leaves are. These leaves were dried with Dri Splendor which I found in the dried flower section at Michael's. Unfortunately, the results were the same whether I set the container aside for a few days to work its magic or whether I sped up the drying process in the microwave - pockmarked botanicals! These crystals aren't my favourite for this purpose but they'll be great for putting in containers with my dried flowers to keep them dry. I also tried some finer crystals that I sourced locally. These orangey-coloured crystals are much smaller in size and they turn a greeny-blue when they've reached their moisture-holding capacity. Even these smaller crystals left dimples. And whilst I'm disappointed with the dimpling, the colours are really well preserved. Next I tried Activa's Flower Drying Art and finally I got the results I was looking for. 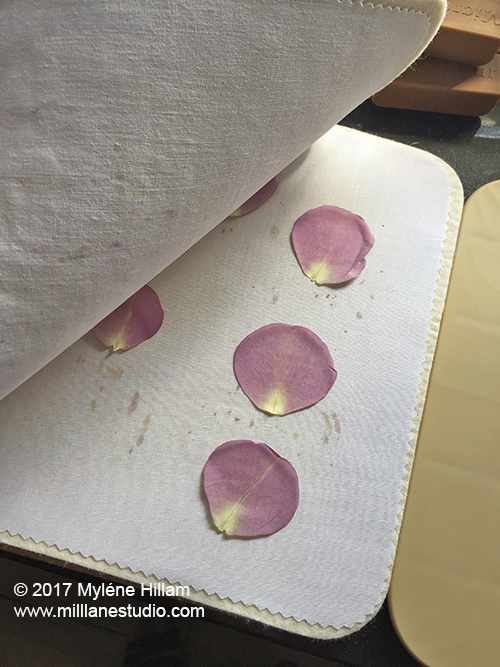 Petals were beautifully preserved. They were covered with a fine layer of silica dust but this is easily brushed away with a soft brush. I also tried cooking salt and I found this worked almost as well as the Activa silica gel. 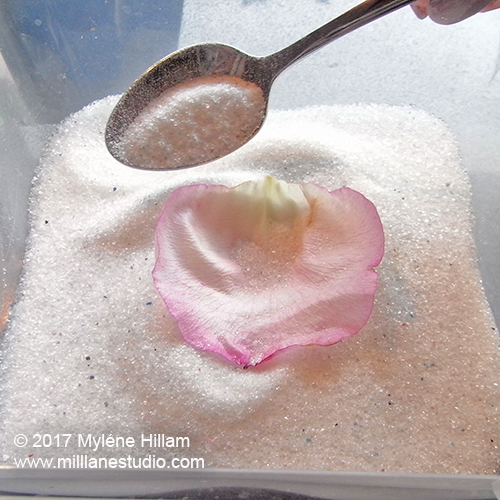 The only difficulty I had was that the salt clumped around the entire petal and it was sometimes difficult to chip the salt away without damaging the petal. But the results were excellent and it's extremely economical. 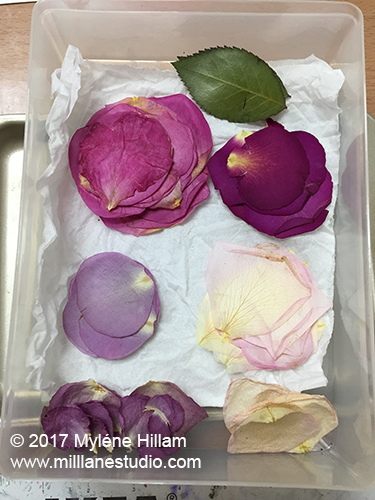 Petals dried in the dehydrator preserved the colours (and sometimes intensified them) better than any of the other methods. They became more leathery and less brittle and generally twisted so they are better suited to potpourri or wedding confetti rather than for embedding in resin. It took a few hours for them to dry but the advantage was being able to do so many all at once. With many wedding venues and churches banning traditional paper confetti these days, the dehydrator drying method is a great way to produce eco-friendly confetti to toss over the newly weds. If you're going to use the petals for potpourri, add a few drops of essential oil to the petal mix to give them a fragrance boost. 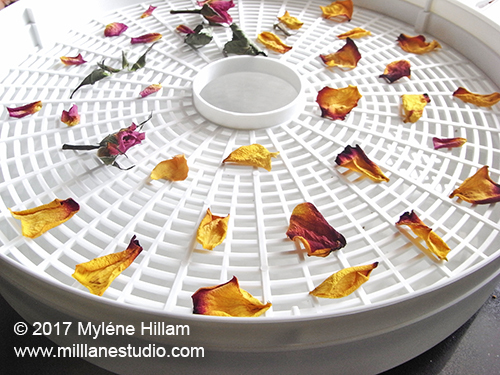 If you're using a dehydrator, the instructions should give you a guide as to what setting you should use and how long you should dry the petals and flowers for. Now, on to the Microfleur. I've had one of these for many years but had never really experimented with it until now. This is such a good invention. You can press flowers in the microwave without a Microfleur but the Microfleur just makes it really easy. ....and sandwich them between the cotton, the wool felt and the plates. There are clips to hold it all together. 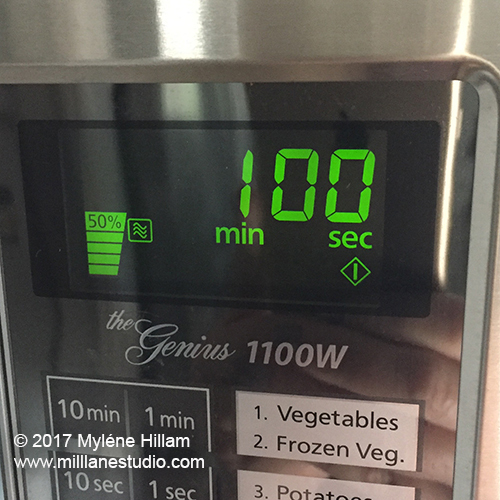 Then it goes into the microwave at 50% power. That's really important. To see what happens when you use full power, scroll down to the bottom of the post. 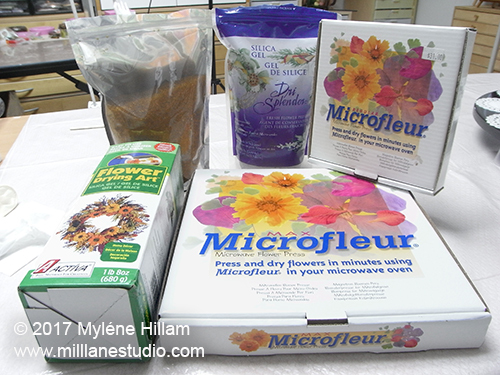 I found that the large Microfleur needed longer - generally 1 minute to start with - whereas the smaller 5" Microfleur worked in as little as 30 seconds. 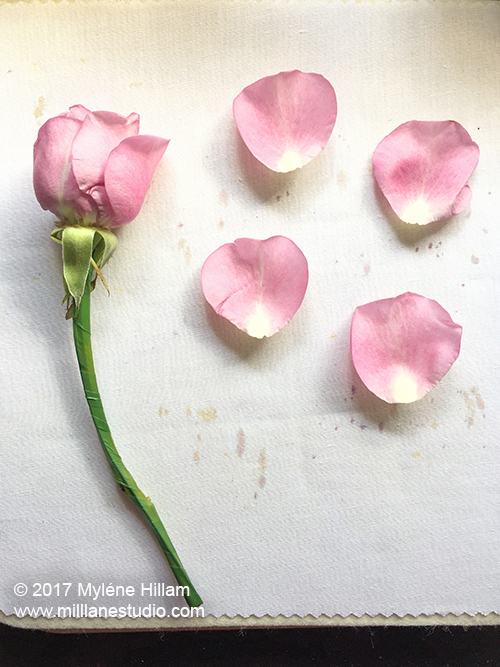 Check how the petals feel - they should be papery but not brittle. If needed, microwave in short bursts until they are completely dry. Once again, keep records of what you do - it really helps. 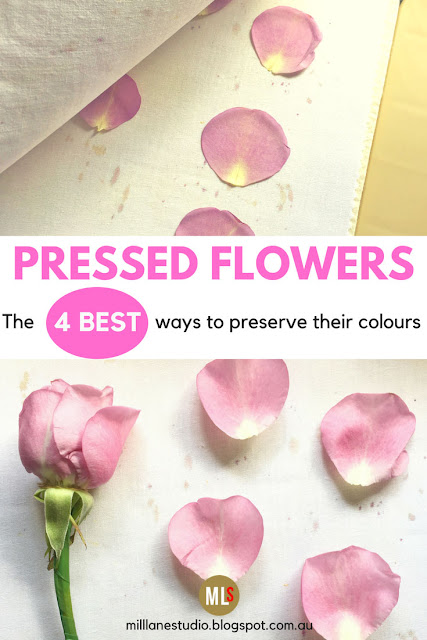 Notice how the petals have changed colour - the pink petals became mauve. Here's a geranium from my garden. The colour change was really dramatic! 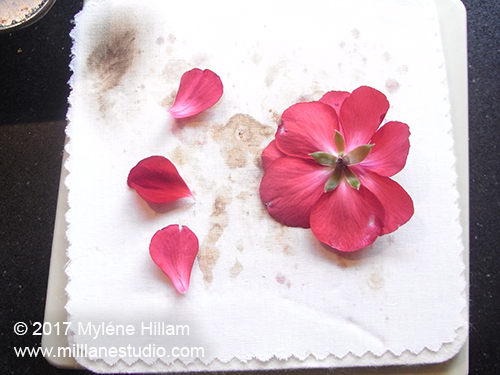 This geranium was really difficult to remove and it's really fragile - I had to use a toothpick to gently ease it off the cloth. 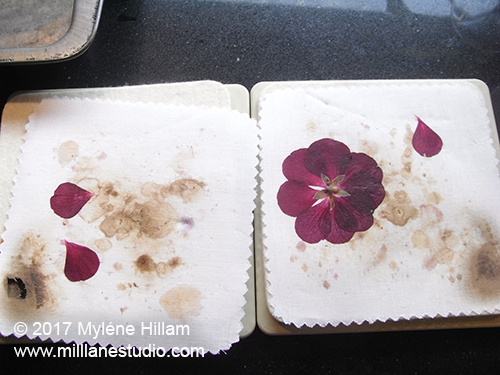 But when dried, it took on all these lovely soft vintagey colours.... you'd never guess they were the same flowers! I've had most success with purples, pinks and yellows. 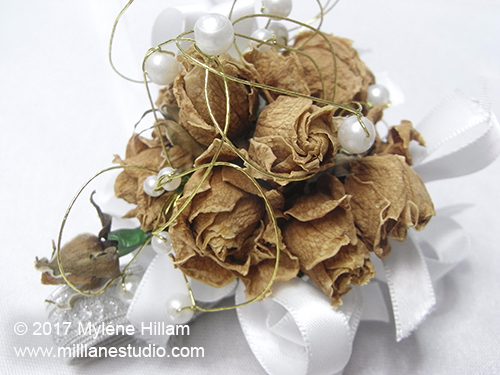 Some of the reds went black and some of the whites I've dried have become a little brown but nowhere near as brown as this wrist corsage which was dried naturally. 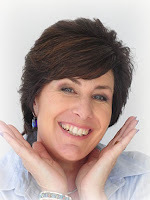 If you've stuck around this long, you deserve to see my disasters too! 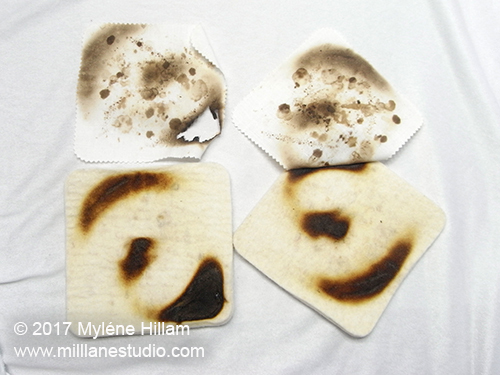 Here's my first set of felt pads and cotton liners - charred into oblivion by forgetting to use 50% power. So now you've seen how I do it, raid your garden, or your neighbourhood on your next walk and experiment. And of course, this is a great way to preserve a special bouquet. 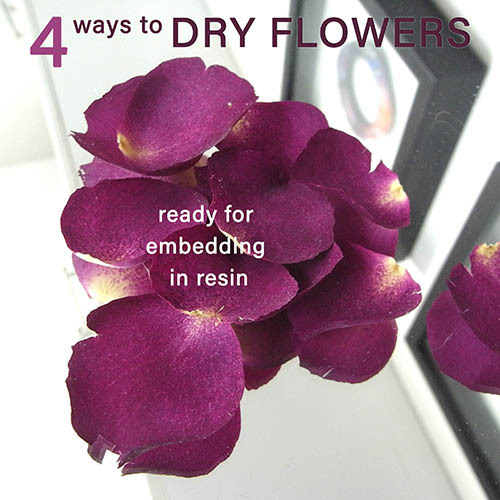 Once the petals are dry, pop them into resin and you have a bouquet that will last forever! 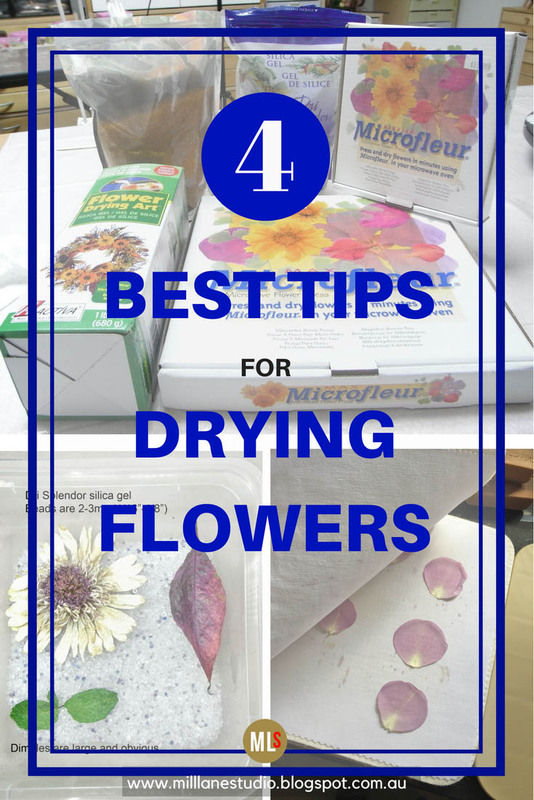 Do you use a sealer before putting the flowers in resin? If so, what brand have you found works best?